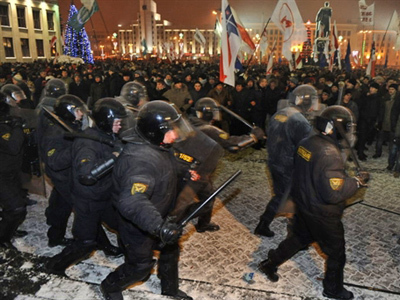 ­More than 80 people have decided to leave Belarus’ oldest opposition party– the Popular Front (BPF). The party’s deputy chairman and former presidential candidate, Grigory Kostusev has attributed the shake-up to internal conflict. The former leadership, he said, had accused the current chiefs of cooperating with the authorities. Those leaving feel the party had compromised its principles by putting forward its candidate during the presidential election held on December 19, Kostusev told Interfax. He described this position as absurd, saying that the party only exists when it takes part in political campaigns and when people know it. He had been detained by the authorities among other presidential candidates and opposition activists following the protests in Minsk in December last year. More than 600 people have been released since then, but several still remain in custody. 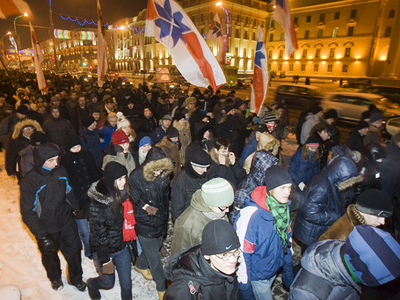 Opposition leaders, including Kostusev, are facing charges of organizing illegal rallies. According to the politician, 86 members of two regional organizations, including one in the capital, quit the party. The leadership condemned the move as ‘irresponsible’ and said it may weaken the Belarusian national and democratic forces. The defection is being led by former BPF Chairman Levon Barshchevsky and former BPF Deputy Chairman Yury Khadyka. They were followed by several prominent activists who say the current leaders’ policy contradicts the democratic principles that the BNF was founded on in 1988. 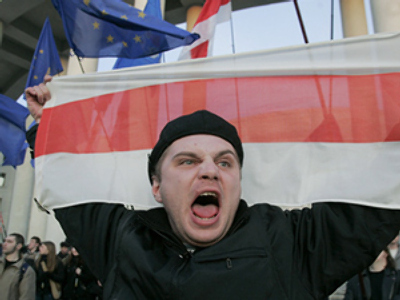 However, BPF leader Aleksey Yanukevich said that those who were quitting the party had supported other candidates rather than Kostusev. 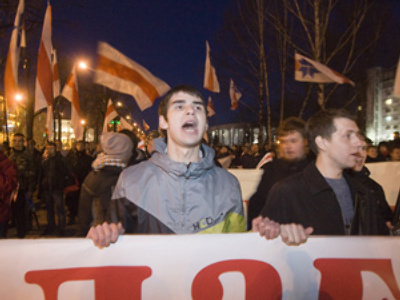 Now they are going to form a new political party, the Belarusian Movement. Sannikov, who is still in detention, is considered as one of the main candidates to head the new party. The BPF is weathering its second split. 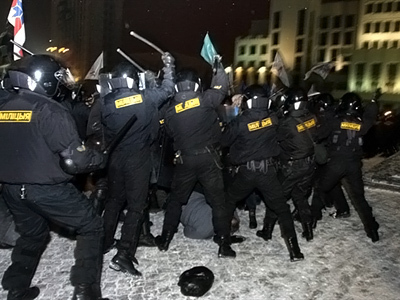 In 1999, its leader Zenon Poznyak also opposed participating in any elections so as “not to play into Lukashenko’s hands.” Nonetheless, it looks like internal rifts have helped authorities derail the opposition’s efforts in Belarus.